It’s finally Heather Finley’s moment. 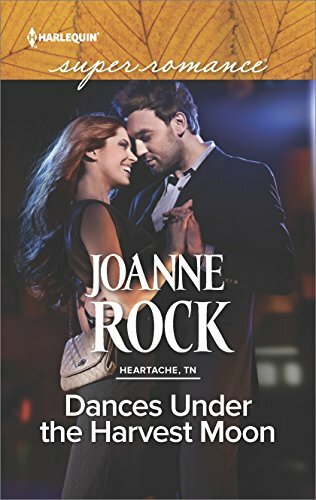 After spending years looking after her mother in the tiny town of Heartache, Tennessee, Heather’s about to follow her dream of singing country music. She can nearly hear the audiences hollering…until the town’s handsome mayor, Zach Chance, comes to her with troubling questions about her late father’s past. Once again, Heather has to choose: protect her family or chase her heart’s desire? Zach is determined to help, and to convince Heather that she belongs in Heartache—with him. But is he just another distraction? Or could he be the one to show Heather how a small-town love can make her big-time dreams come true? Good, multileveled, and even fast paced for a slow small town setting. I ran through all the emotions and loved every ugly-cry and hot-spot surge of it. And IMHO, unlike a Nicholas Sparks’ sob-me-to-bed ending, Dances Under the Harvest Moon delivers the couple to a well-deserved HEA.